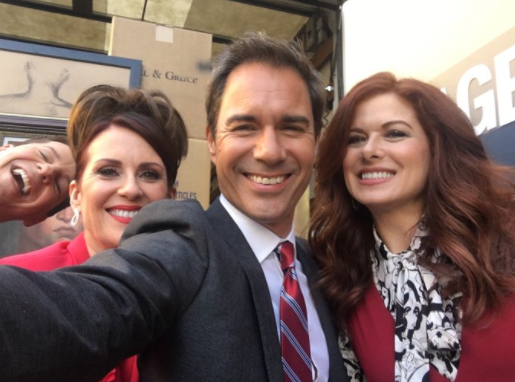 This just in: The Will and Grace reboot has officially begun filming and the cast is having a gay old time! The sitcom originally ran for eight seasons from 1998 until 2006. During last year’s presidential campaign, they reunited for a hilarious one-off election skit, which sparked rumors of a possible series comeback. Then in January, NBC announced the network had ordered 10 new episodes, which will air later this year. Well, last weekend, they started doing promo shots and gearing up for production, and lucky for us, the cast shared plenty of behind-the-scenes updates….